A lot of things have been said about Garth Snow; some good, most bad. 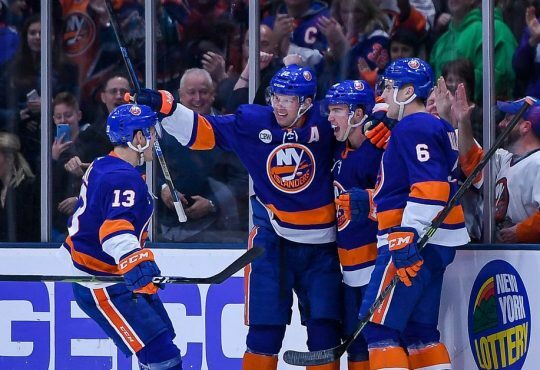 And after a few hickups and a couple of years in the pits of the NHL, Garth Snow has risen, along with him his Islanders club, like a Phoenix from the ashes. The product that now stands in front of us is a powerful one; with solid goaltending, multiple players with a knack for the back of the net, young yet up and coming defense, the c-word [chemistry bro, chemistry..] and at the very top of the list of positive adjectives that describe these Islanders, they’re well built for the long haul. With the extension of Nick Leddy coming earlier this week, Garth has successfully locked up one-third of the team’s roster until at least 2018. Long term, we see players like Nick Leddy and Travis Hamonic, both of whom are signed until the the day I have kids as they will be rocking blue and orange into the next decade, and then you have players such as Tavares, Kulemin, Grabovski, Bailey, and Jaro; who are all signed through 2018. 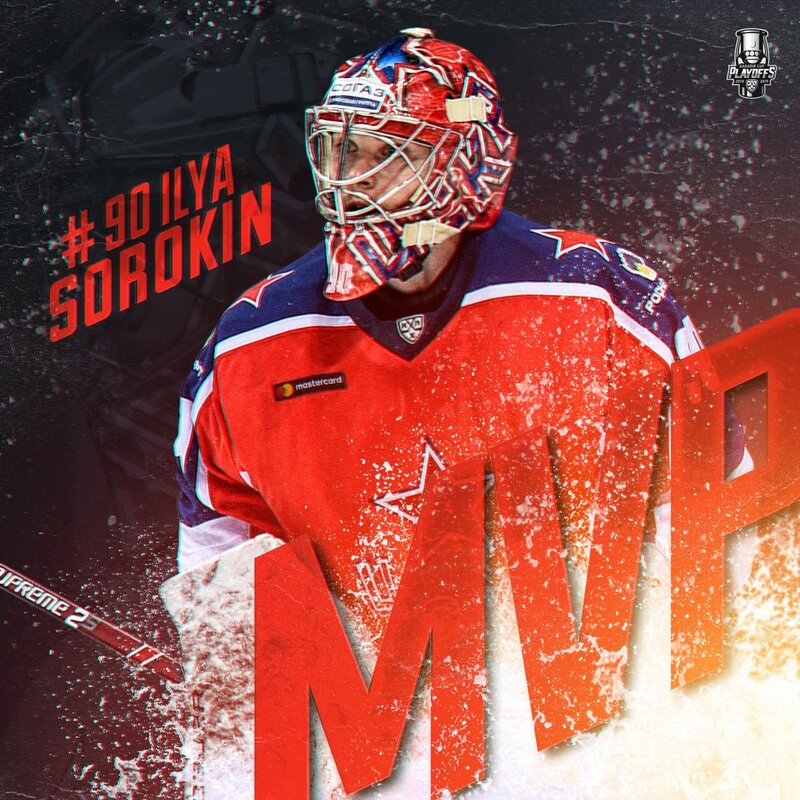 With the team’s Captain, their catalyst to success of a goalie in Jaroslav Halak, and a strong supporting group of both young and old skill signed long term, this team has a successful core set up for the the next 3-5 years. When you think of the Islanders’ more inexperienced yet skilled players who comes to mind? Of course there is Strome, then Nelson, and of course *cough*CalderHopeful*cough* Anders Lee. Maybe throw in Cizikas and lump in the former 4th overall pick in Thomas Hickey, whom despite some criticism this year has had himself quite a few strong outings over the past several months. Now let’s think, what’s the one thing all five players have in common? Oh that’s right Garth Snow owns all of them.. like, literally. RFA status is a great thing to hear if you’re a GM with young talent on his hands. You have a skilled NHL player who has his entire career ahead of him, with an expiring contract coming up, but hey! the only team he can negotiate a contract with is you. You own his contract, you own his career, you pretty much own his life. Four of these five players are testaments to Garth’s commitment to his own product, and willingness to stick with talent developed within the system. One would like to think the loyalty is there within the home-grown talent. Despite being drafted by LA, Hickey has found himself calling New York home for some years now, and controlling his future is huge if you’re Garth Snow, as Hickey is a fickle player when it comes to evaluating his worth. 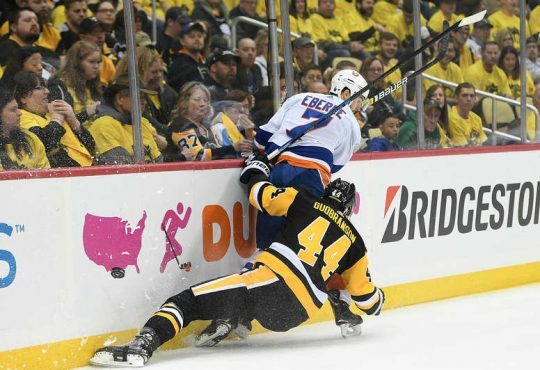 Despite an up and down career, and the word underachiever being thrown his way, I still feel Hickey could garner a pay day if he were to hit the open market, his RFA status puts the Isles in a prime situation and the chance to thoroughly evaluate his future with the team. 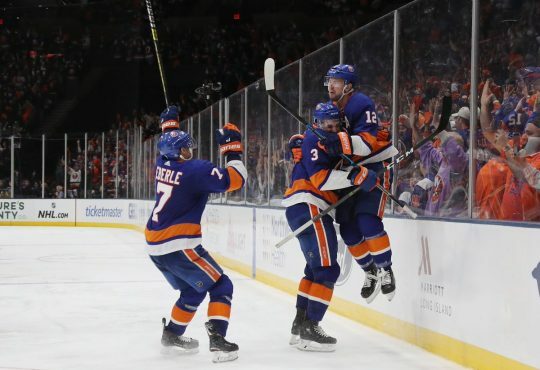 These grassroots-Islander talent should all be on the easier side of contract negotiating when the day comes, while I would expect to see Garth go big on players like Strome and Lee to provide solid secondary scoring down the road. Along with the young home-grown talent this team possesses, we also have players like Kyle Okposo, Frans Nielsen, and Matt Martin. They are the players you can’t see this team without, but all have Unrestricted Free Agency coming up after next year. It’s not all peaches and cream for Garth, with 3 major contracts coming up next year, as he still has his work cut out for him if he wants to keep what has anchored this team into the position it is in now, but again it is difficult to look down this roster and think anyone would not want to be apart of it for years to come [looking at you #55]. 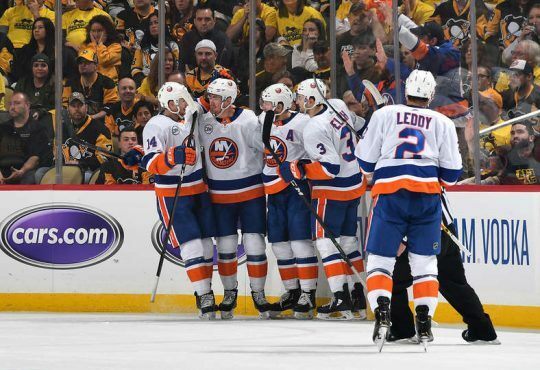 Garth has this team covered on both sides of the spectrum, the youngsters are locked up in RFA status, and the veterans are locked up in contracts, the stage is set, the window is open, and this Islanders team is all in.